Significant advancements in the field of hair restoration surgeries; centered on the introduction of micro and mini grafts has revolutionized the industry. Use of these types of grafts allows for creating natural hairlines. What are mini and micro grafts? Mini grafts are actually very small organs of the body called follicular units (FU). An FU can consist of one, two, three or four hairs. After harvesting these micro grafts they can be place at any point of the recipient’s scalp. This method of hair transplantation has brought into focus aesthetically superior surgical hair restoration results. These advancements have increased the treatment options for men and women suffering from baldness. New hair transplant techniques give natural, permanent and proven results when FU or micro grafts are utilized in reconstructive and restoration procedures. These extremely small little organs (FU), have low metabolic needs and thus are able to better survive the transplantation process as compared with older plug grafts which are easily damaged (transected). These new methods are very helpful in scar revision reconstruction surgeries. Micro grafts have been able to grow fast and successfully even on scalp that has been burnt. Today’s micro-grafting techniques or better said follicular unit transplantation procedures provide hair loss patients with the results they desire. SMP- scalp micro pigmentation is a cosmetic hair restoration procedure where the patients scalp is tatooed with ink to create the illusion of shaved hair or hair stubble. This is a method sometimes preferred by bald men who are seeking an alternative to hair transplant surgery or to augment hair transplant surgery. Performed correctly SMP provides the appearance of short shaved hair to balding areas of the scalp. Like any cosmetic medical procedure the results are only as good as the surgeon performing the procedure. SMP eliminates the hassle of frequent applications of a topical hair product to hide thinning, as they can be messy and be transferred onto clothing, sheets or pillow cases. SMP can be used for a variety of scalp conditions that include: genetic androgenic alopecia (AGA) otherwise known as male pattern balding (MPB), scarring alopecia’s from a variety of autoimmune diseases of the scalp (e.g. alopecia areata, alopecia totalis). SMP is very helpful and reducing the appearance of some types of scarring. It can also used to manage the unnatural appearance that is associated with older unnatural looking hair transplant procedures. US Hair Restoration centers utilize SMP to reduce the appearance of scars to create an illusion of density and military shaved type hairstyles and other uses such as eyebrow density. Always make an educated decision before considering any permanent solution for hair restoration. If you are considering SMP consult with one of Los Angeles or Beverly Hills leading hair restoration centers. Hair loss is correlated to stress. Hair loss induced by stress usually occurs after severe stress, such as surgery or illness. Stress and hair loss don’t have to be permanent. Getting your emotional stress under control or alleviating a physical stressor usually results in your hair growing back. Parsa Mohebi, MD reviews stress related hair loss effects. Sudden hair loss can signal an underlying medical condition that requires treatment. If needed, your doctor may suggest treatment options for the hair loss as well. And if efforts to manage your stress on your own don’t work, talk to your doctor about stress management techniques. Be sure to consult a physician if you notice sudden or patchy hair loss or more than usual hair loss when combing or washing your hair. Stress is defined as “a demand upon physical or mental energy.” A physical or emotional demand that is a person is finding difficult to overcome. Stress puts demands on people to perform well above their capacity. Stress has a negative perception and connotation, however, stress is an everyday occurrence that affects most people at some time in their life. This longer the duration of the demand the more difficult it is to maintain without relief. Dr. Daniel K. Hall-Flavin, M.D. 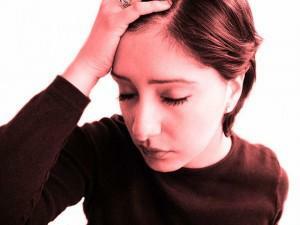 of the Mayo Clinic points out that three specific hair loss conditions are related to stress. Alopecia areata. A variety of factors are thought to cause alopecia areata, possibly including severe stress. With alopecia areata, white blood cells attack the hair follicle, stopping hair growth and making hair fall out. Telogen effluvium. In this condition, emotional or physical stress pushes large numbers of growing hairs into a resting phase. Within a few months, the affected hairs may fall out suddenly when simply combing or washing your hair. Trichotillomania. Trichotillomania (trik-oh-til-oh-MAY-nee-uh) is an irresistible urge to pull out hair from your scalp, eyebrows or other areas of your body. Hair pulling can be a way of dealing with negative or uncomfortable feelings, such as stress, anxiety, tension, loneliness, fatigue or frustration. When experiencing hair loss an evaluation by a Los Angeles hair restoration doctor can be very helpful. Modern technology has allowed our society with proven, natural permanent hair loss options. Modern technology has allowed our society with options not possible a half century ago. Medical and scientific advancement presents promising changes with each advancing generation. An example is the loss of vision typical with age like hair loss. People with vision problems, had the disadvantage of wearing glasses; although there are contact lenses as well. There is still a dependence upon outside tools to reduce the loss of vision; which inconvenient and sometimes greatly reducing the quality of life. Now the near miraculous advancements in LASIK vision correction has made vision correction possible. No longer are middle agers at tables in restaurants pulling out their glasses or squinting helplessly to read the menu; the stubborn problem of fading eyesight for millions of people is solved. If someone chooses to undergo a LASIK procedure, does it make him an insecure person? Not in the least! Rather, they are using their resources to correct a medical problem and look their best. Our Los Angeles based US Hair Restoration clinics consistently receive calls and emails from people who need hair restoration for their baldness, but they are shy to provide their names as they inquire to be able to get more information about hair restoration options. ; It is amazing how many want to hide the fact they contacted us for advice. We are proud of our fine medical staff and patient advocates who are exceptionally sensitive to the needs of those seeking our help. It is one of the deeply rewarding aspects of our profession that we can provide encouragement to our patients, as well as, give them new hope, confidence, and a fresh perception of how their suffering from hair loss can be alleviated. Hair loss is a disease, a common one and like many other diseases there are treatments for it. Modern medical and technological advancements provide similar relief for hair loss sufferers as Lasik for people with vision loss. One day we hope the stigma of addressing hair loss through medical treatment lessens its impact on people who suffer from baldness as it has for those with vision impairment. At our Southern California centers our team uses the latest technologies and procedures to perform FUT and FUE hair restoration surgeries. These procedures provide our patients with a permanent natural treatment for their hair loss. 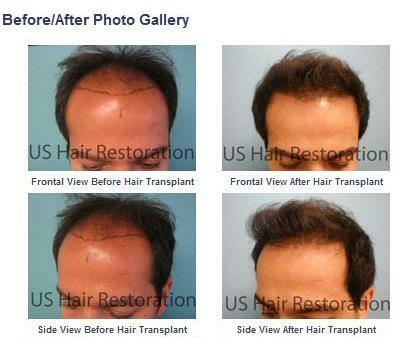 The progress in hair transplant surgery now provides our patients with results that are proven, natural and permanent. We had a patient from a different hair restoration clinic that had a few concerns about his hair transplant results. He underwent hair transplant in September of 2008 and mentions that sometime in November he started trimming his hair avoiding the transplanted area and then started trimming all areas to help him monitor his progress. He also stated that he has curly hair which can make it relatively hard to really notice his growth. He fears that because he never asked how many grafts he had received that maybe he had less done than he had hoped for. 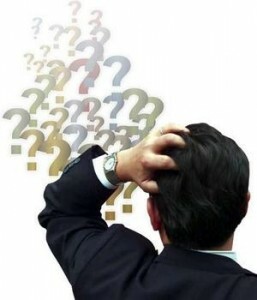 He asks, “Does transplanted hair regrow at different rates?”. Generally, transplanted hair goes through a few changes. First, the transplanted hairs will shed in about 9 out of 10 people and you will probably see some or if any results in about 3 months after your hair transplant surgery. This is the most obvious result for patients who had little to no hair in the first place. Most patients who already have existing hair don’t usually see or notice results until about 6-8 months after the surgery. The hair is growing but visually it does not compare to the existing hair and can be easily mistaken as a bad hair transplant. Once the transplanted hair becomes long and thick enough you can easily distinguish the results. We understand the importance of results to our patients but results after hair transplant cannot be rushed. As for a follow up or additional procedure, US Hair Restoration does not recommend having an additional hair transplant procedure within less than 6 months of the initial procedure because many of the grafts may not even be out at that time. With patience and time you will see the results of your transplanted hair in a few months or sooner. Bakersfield, California: US Hair Restoration hair transplant clinic soon will start its first clinic in the city of Bakersfield in California. US Hair Restoration already has three other locations at Encino, Beverly Hills and Orange County. Dr. Parsa Mohebi the medical director of US Hair Restoration stated that since we are getting many patients for hair transplant from the city of Bakersfield in our Encino and Beverly Hills hair transplant offices, we decided to make it easier for our hair transplant patients from Bakersfield to find access to our services in their town. Hair Transplant Surgeon Restores Patients Hair and Self-Confidence was the title of Dr. Mohebi’s recently published article in the the magazine of Beverly Hills Courier. In the article Dr. Parsa Mohebi, hair transplant surgeon and medical director of US Hair Restoration discusses the modern hair transplant techniques and the innovation that a perfect hair restoration is made of with the most natural results possible. US Hair Restoration announced the opening of its hair restoration clinic in the city of Bakersfield, CA to serve Southern California, particularly the northern cities of Los Angeles such as Sacramento and Fresno and north of the San Fernando Valley. US Hair Restoration hair transplant clinics are also accessible and being used by the residents of Las Vegas, Nevada and Phoenix, Arizona. We all know that nothing looks better than a full head of hair, and one of the best people to provide it is Dr. Parsa Mohebi, medical director of US Hair Restoration. Follicular Unit Transplant (FUT) is the gold standard of hair-transplant surgery, Mohebi said, giving very natural results. A strip of donor scalp is removed and the follicles are prepared under microscopes and distributed in the bald area in the natural direction and orientation. Follicular Unit Extraction (FUE), also called non-invasive hair-restoration surgery, uses special biopsy devices to extract individual follicular units without having to remove a strip of skin; so there is no linear scar. Not everyone needs FUE or follicular unit extractions hair transplant Mohebi says. But people who want to shave their head in the future for any reason may consider FUE because there is no visible evidence of surgery on the back of their head. There’s nothing to suture, and the small dot wounds are not detectable a few days after surgery. Since the newly placed follicles are so fragile, patients return the next day to get their hair washed professionally, given special shampoo and taught how to take care of their hair at home. After five days, no special care is needed, Dr.Mohebi said. Ten days after the surgery, patients return to have the donor site checked and staples removed for those who had them. Hair starts growing after three months, and is long enough to style and comb after ten to twelve months. The third follow up is at 10 months after the procedure.Continuing to pioneer in the field, Dr. Mohebi is the inventor of the Laxometer, a device to measure the laxity or mobility of the scalp. Laxity of the scalp is key in determining the size of the donor strip so that enough can be removed for bigger cases, and the wound can be closed without too much tension and the scaring will be minimal. US Hair Restoration has Southern California Clinics in Encino, California, Orange County, Beverly Hills and now Bakersfield. US Hair Restoration also offers hair transplant services in Dubai, United Arab Emirates (UAE). To help people stay abreast of all that’s happening in the field of hair restoration, and to answer questions ( heard from Europe and China) Dr. Mohebi maintains the US Hair Transplant Blog to answer your hair loss and hair transplant questions.